MEZ GmbH is one of the leading suppliers of handicraft products in Europe. The medium-sized company supplies innovative products from its brand portfolio, conveys concepts and thus even more pleasure in handicrafts. VENO has a close relationship with the MEZ Group and can offer special and exclusive collections. The MEZ Group took over the handicraft business of the Coats Group in Europe on August 1, 2015. This step was made possible by the AURELIUS Group, an investor specialising in medium-sized companies who bought the European handicraft division of the British company Coats. In the process of this transaction, such important brands as Schachenmayr, Regia, Rowan, Milward and Puppets were taken over and will be distributed by MEZ GmbH, a company that stands for " Joy of handicrafts". The name MEZ stands for more than 200 years of history, a lot of experience in the field of handicraft and a long tradition, which the company wants to continue. As early as in 1785, Carl Mez founded a textile company which his sons joined as well. The name Mez took on a special meaning in the field of handicrafts, especially under the leadership of Carl Mez, the grandson of the same name. Under his leadership, the company expanded rapidly in Freiburg. Thanks to his knowledge of silkworm breeding and silk production and the introduction of a twisting machine, with which a continuous thread could be produced for the first time, as well as his social commitment to his employees, he was regarded as one of the important industrial pioneers of his time. At the beginning of the 20th century, the company Coats took over shares in MEZ AG, incorporated them into the group and over the years renamed MEZ Coats GmbH. The takeover has now been completed and has once again given rise to a medium-sized company which sees its challenge increasingly in supplying its customers with further innovative products and concepts and thus giving them even more pleasure in handicrafts. The new MEZ Group comprises the European headquarters and a warehouse in Germany, the production site and the warehouse in Hungary as well as further sales offices within Europe. The well-known brand portfolio will continue to be marketed by the new company, which is thus one of the leading suppliers of handicraft products in Europe. The MEZ brand world includes Schachenmayr and Schachenmayr REGIA knitting yarns, Anchor knitting and crochet yarns, Opti zippers and Coats yarns. 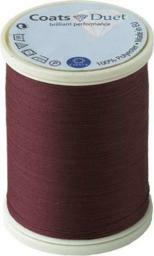 Mez Duet - formerly Coats Duet - stands for premium polyester yarn with excellent sewing properties. The versatility, the wide colour spectrum and the brilliant optics make Coats Duet as shiny and valuable as a diamond! 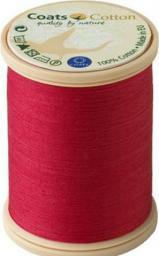 Coats Duet is a 3-thread, high-tech core yarn produced by Coats from high quality polyester fibres. An elaborate production and finishing process produces a brilliantly shiny, smooth and extremely tear-resistant sewing thread with high elasticity. Coats Duet is available in two strengths: Medium strong for all types of sewing work and extra strong (thickness 30) for decorative seams, for example. With a colour palette of 400 colours ﬁndet every customer always has the right shade. 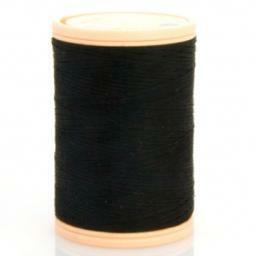 This yarn is recommended for all types of fabrics. 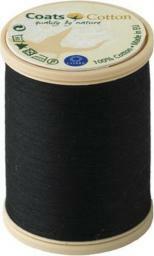 Coats Duet - now Mez Cotton - stands for competence in yarn since 1755 and even today Coats yarns are subject to the highest quality standards for cotton yarns. Coats Cotton is timeless and the natural choice! 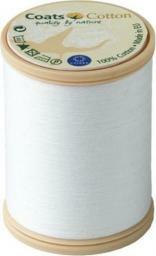 Coats Cotton is a 3-thread, mercerised, quality yarn made from the best natural cotton. Zertiﬁziert according to Öko-Tex Standard 100. This yarn is used for fine seam adjustments, is available in various thicknesses and is ideally suited for processing fabrics made of different natural materials. Particularly suitable for processing cotton fabrics and fabrics with a low stretch content, such as linen fabrics. Since 1822 Schachenmayr has offered a complete range of quality yarns. Today REGIA is very popular for knitting socks. For generations, Anchor has been a synonym for quality and the joy of handicrafts. Regardless of technique and level of difficulty, Anchor's yarns allow you to express your creativity and experience the joy of doing it yourself. Opti zippers have stood for quality, innovation and satisfied customers for more than 100 years. The VENO assortment offers the right zipper for every project.